There are plenty of ways to get involved with your local museum. As we are a registered charity, volunteers play a vital role, both front of house and behind the scenes. People volunteer for lots of reasons – to get to know other people, to find out more about the local area or simply the chance to try something new. The museum is open 10.30am - 3.30pm on Wednesdays and Saturdays. Each day is split into two shifts: 10.30am - 1pm and 1pm - 3.30pm. The stewards are organised on a rota where you can volunteer for as many shifts as you'd like. Each morning there are two stewards on duty, they collect the keys to the museum, unlock and turn off the alarm. 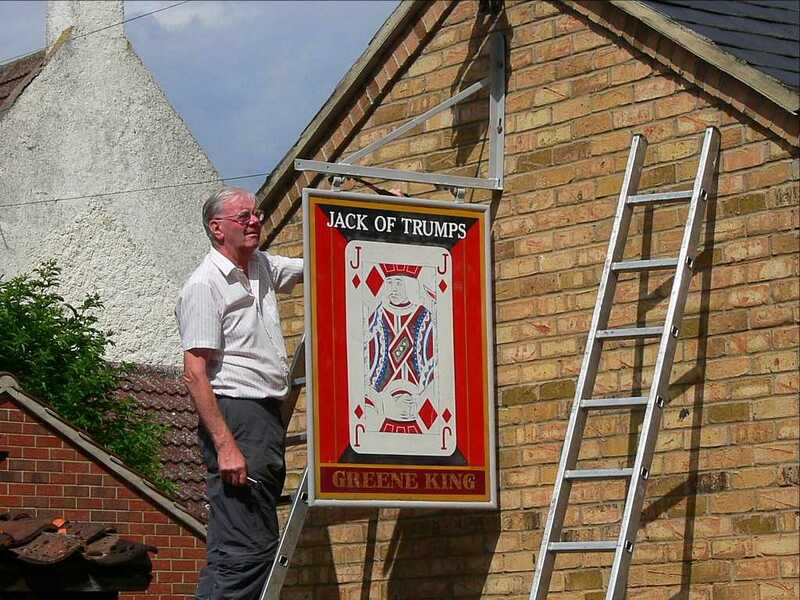 There is a sign and a board to put up outside. Each afternoon the two stewards put everything away, cash up, set the alarm and lock up. The steward's main duty is to be the friendly, welcoming face of the museum. Tea, coffee, milk and biscuits are available to stewards and there is a small kitchen area and toilet facilities. As a steward you will also be invited to any events we organise such as our Christmas meal. We occasionally need painters and decorators, people to plan and change displays, people to check our stock and people to help us spring clean. 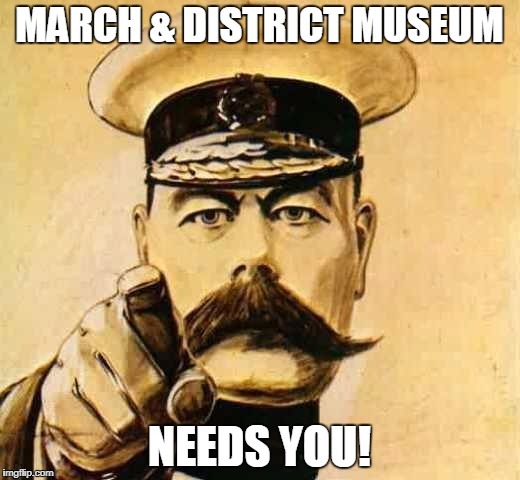 If you'd like more information please email info@marchmuseum.co.uk or call us on 01354 655300 during opening hours. 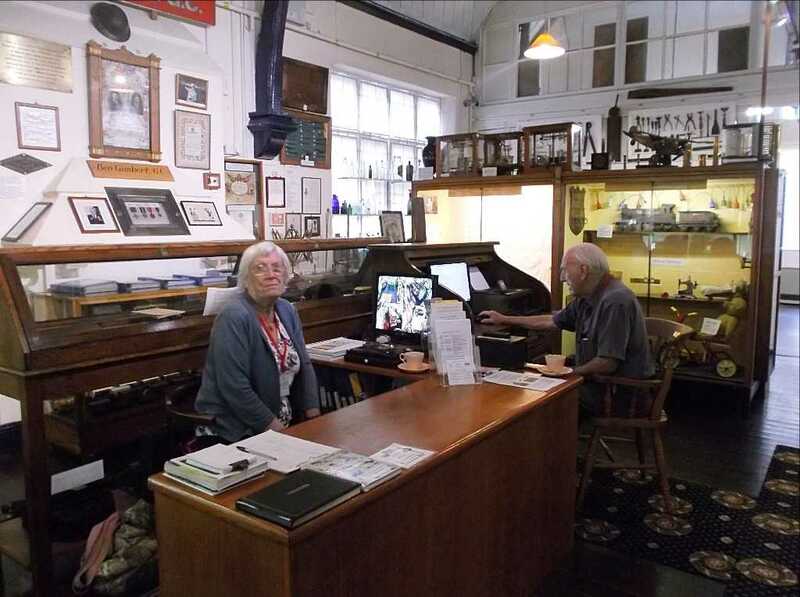 Alternatively, you could pop in, fill out a volunteering form and one of our volunteers will contact you to arrange a suitable time for you to visit us. We provide equal opportunities for everyone who volunteers with us – whether they’re students, retired, unemployed, employed, disabled, old, young, or from minority ethnic and religious backgrounds. March & District Museum is committed to safeguarding and promoting the welfare of children and vulnerable adults and expects all staff and volunteers to share this commitment. We will undertake checks including DBS checks where appropriate.